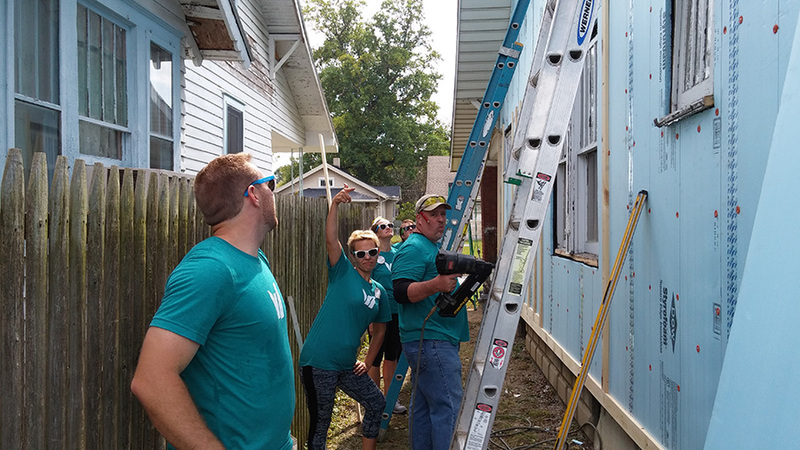 September 25, 2015, Muncie, IN– Whitinger Strategic Services staff joined the Whitinger & Company accountants in a Day of Service on September 18, 2015. The team chose to give back to the community by working on the reconstruction of a home with Greater Muncie Habitat for Humanity. It was quite a change of pace from using the toolbar on Photoshop to using a toolbox of hammers, wrenches, screwdrivers, and much more. Our staff kept busy removing wallpaper and light fixtures on the interior of the home, carrying toilets and other trashed items out of the home, and zealously using nail guns to hold insulation boards on the outside of the home. Habitat for Humanity is a non-profit, Christian housing ministry that believes every man, woman, and child should have a decent, safe, and affordable place to live. 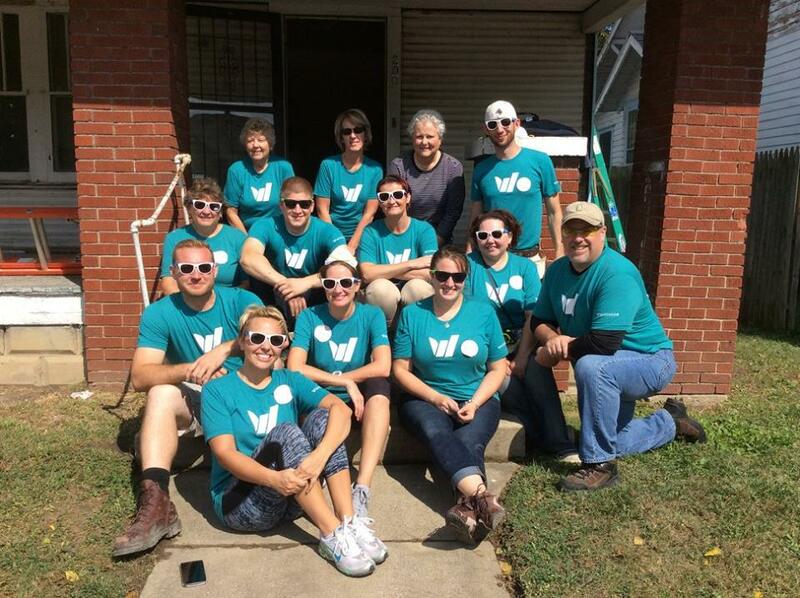 The organization builds and repairs homes all over the world using volunteer labor donations. Habitat’s principles include demonstrating the love of Jesus Christ, focusing on shelter, advocating for affordable housing, promoting dignity and hope, and supporting sustainable and transformational developments.